Whether it’s your first wedding anniversary, or your 25th, your anniversary marks your special commitment to each other. Create the atmosphere to fall in love all over again with a romantic evening filled with good food, great entertainment and a luxurious ride in Delta Limousines. 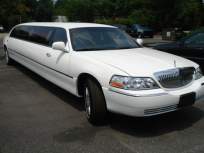 Whether you're planning a surprise Anniversary party, an Anniversary lunch, or an Anniversary dinner or planning to go to a Concert, Opera, night in the town remember to call Delta Limousine Service. We can make your next Anniversary event even much more special. All Rights Reserved 2014 2013.